As indicated by my first blog entry, I love Charleston! I also love many other things Southern! This is a new online magazine due to debut on March 15. Looks like a definite read for me! 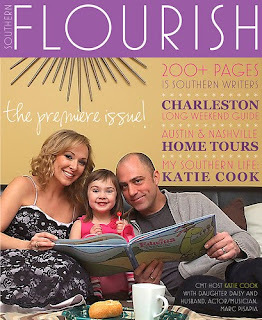 You may read more about Southern Flourish here. THanks for stopping by my blog ,really enjoying my time here. Have a wonderful weekend! Thank you, Kristen! I do hope you get to Charleston sometime!